CHATTANOOGA, Tenn. (November 5, 2014) – IRONMAN announced today that Chattanooga has been selected to host the 26th race in the IRONMAN® 70.3® U.S. Series with Sunbelt Bakery as the title sponsor. 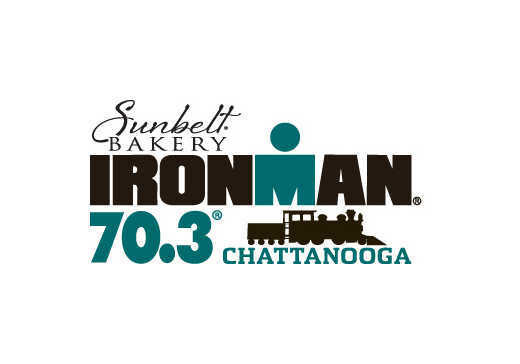 The inaugural Sunbelt Bakery IRONMAN 70.3 Chattanooga triathlon will take place on Sunday, May 17, 2015. Sunbelt Bakery IRONMAN 70.3 Chattanooga will lead athletes through a 1.2-mile swim, 56-mile bike and 13.1-mile run on nearly the same course as IRONMAN Chattanooga. The IRONMAN 70.3 Chattanooga race will start with a point-to-point 1.2-mile swim down the Tennessee River. Athletes will exit the water and transition at Ross’s Landing Park before starting a one-loop 56-mile bike course that will travel through north Georgia and historic Chickamauga. The course will feature incredible mountain views as it parallels Lookout Mountain. Athletes will then begin the double-loop 13.1-mile run through the “Scenic City.” After running through downtown Chattanooga, The Tennessee Riverwalk, Veterans Bridge, North Shore, Walnut Street Bridge and the beautiful Riverfront Parkway, athletes will come to a triumphant finish at Ross’s Landing. “It’s truly an honor to be chosen to host an additional IRONMAN event. This speaks volumes for the collaborative efforts of our community. According to IRONMAN, we are one of only 10 cities globally that host both an IRONMAN and an IRONMAN 70.3 triathlon. That’s phenomenal. Including participants, families and spectators, we’re expecting more than 6,000 people and an estimated economic impact of $3-4 million annually. We strategically booked this date for a time when we need the business,” said Bob Doak, President & CEO of the Chattanooga Area Convention & Visitors Bureau. “I want to thank Mayors Jim Coppinger and Andy Berke for their unwavering support and personal involvement in helping to secure these events." “On September 28, IRONMAN participants and event organizers experienced a Chattanooga eager and ready to welcome them. It&apos;s a testament to our city&apos;s spirit, organization, and natural resources to have the honor of hosting not just a signature IRONMAN event, but now the IRONMAN 70.3 triathlon. I want to thank everyone who has been involved in securing these events and especially the McKee family and Sunbelt Bakery for their title sponsorship,” said Chattanooga Mayor Andy Berke. Sunbelt Bakery IRONMAN 70.3 Chattanooga will offer 30 age group slots to the 2015 IRONMAN 70.3 World Championship taking place on August 30, 2015 in Zell am See-Kaprun, SalzburgerLand, Austria. General registration for Sunbelt Bakery IRONMAN 70.3 Chattanooga will open Tuesday, November 18, 2014 at 12:00 pm ET at www.ironman.com/chattanooga70.3. For more information on the IRONMAN brand and global event series, visit www.ironman.com. Athlete inquiries may be directed to chattanooga70.3@ironman.com. Media may contact press@ironman.com. McKee Foods, a family-owned company based in Collegedale, Tenn., introduced the Sunbelt Bakery brand in 1982. The Sunbelt Bakery brand includes cereal and snack products, including chewy granola bars, fruit and grain cereal bars, and cereals. To learn more about Sunbelt Bakery snacks and cereals, visit www.sunbeltbakery.com.